Hi! 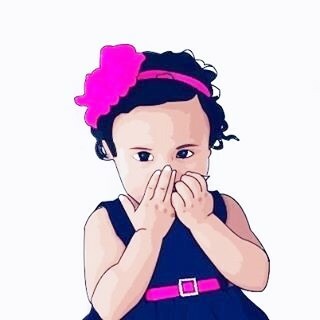 My name is Madhavi. 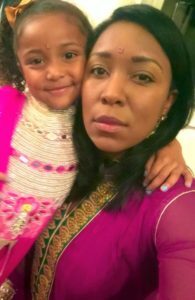 I’m an Indian-American woman and my husband, Casey is African-American. We met in March, 2014. I moved from Tennessee to California to pursue my Master’s degree in Psychology. The plan was to become licensed so that I could began practicing as a psychotherapist. Upon moving there, I quickly searched for a job. Since I worked for the YMCA in Nashville, TN as a trainer, I figured I could easily slide into an open position within the YMCA in Cupertino, CA. Fortunately, I was able to get a job at the Northwest YMCA, and from there, I started working while attending school at Santa Clara University. A year and a day later, I remember going to work on a Tuesday afternoon proceeding through my usual routine. I typically would clean some of the fitness equipment and prep the gym for my incoming clientele. As I was going around cleaning the equipment, I saw a woman running on our gym’s equipment. For a good 10 seconds, I was unable to take my eyes off of her. She seemed different, but more importantly, I felt drawn to her. I quickly realized that it was not her who was different but my whole being seem to be responding to the very beauty in front of me. I was acting differently. It was as if I had forgotten what I was doing during the 10 seconds I spent looking at her. As my eyes caught the sudden twinge of muscle in her neck as her head started to turn towards my line of view, I quickly looked down towards the cleaning equipment in both of my hands to shake myself from the paralysis her presence placed me under. I literally had to remind myself of what I was doing with the cleaning utensils. After that day, I was on a mission to find out who she was. I remember going to the front desk where members would badge-in and I asked our manager who badged in between the time of 1:15pm-2pm. With a confused look on her face, she asked why did I need to know. I dodged the question with a statement pertaining to her potential job promotion. As she was looking for the names of the people that badged-in, she continued her delighted response to the statement I said about her rising position. Once she finished the search, my eyes tracked toward the screen and with wide-eyes, I saw the name of the woman who was running on the treadmill. I saw the name of the woman whose presence literally stopped my mind’s natural, biological tendency to think. Her name was Madhavi Raman. treadmills that were still on. The way in which he held himself was what caught my attention. His hands were in his pockets and his steps were taken as though he didn’t have a care in the world. I felt as though he encompassed the characteristics I wanted to see in myself…he felt like the opposite of me. I told all my friends about him; an attractive black guy, in the middle of Cupertino?! You had to be kidding me!! And then it happened. I walked into the stretching room and began my routine and Casey walked in and started to “tidy things up.” There was no one else in the room. He looked over and asked, “Are you training to be in a marathon or something?” “I just always see you on the elliptical – and I haven’t seen too many people enjoy it as much as you do.” I laughed. He introduced himself. And that was how it all began. 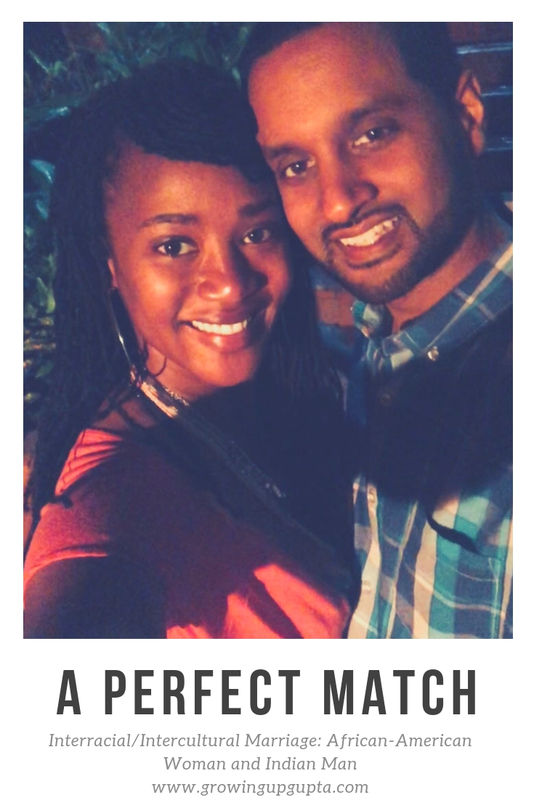 We got a lot of the difficult conversations taken care of early in our relationship, but because of our: different cultures, our personalities, and upbringings, we still had some important struggles to work though in our three years of dating. Casey did a great job of learning how my culture and upbringing impacted my communication within our relationship, but because I was and am still somewhat starved of African American culture in Silicon Valley, I found it more difficult to understand his communication style – causing frustration. I believe the turning point came when we decided to get married. Casey wanted to propose, and I wanted him to get my father’s blessings. 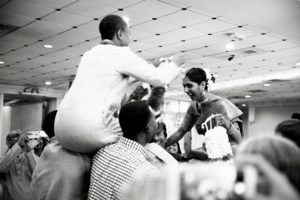 So he waited patiently for my dad – who was living in India at the time, to come home. He and I approached my parents about it together, and when we finally did, it was dead silent. My dad said he thought it was best for us to wait until we were more financially stable. My mom followed by saying, “But we love you Casey.” We were crushed, but not defeated. I told Casey that no matter what my parents said, I wanted him to pop the question, and I would say yes. And he did. had assumed this would mean us getting married soon after, which was not really my plan. 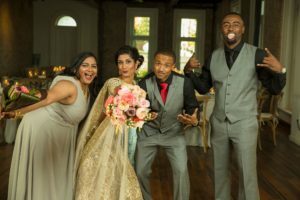 I wanted a planned wedding, in Nashville TN, which meant waiting till October 2017. After a lot of back and forth, scheduled and cancelled appointments with the county clerk’s office, we finally had a small ceremony on February 25th and became husband and wife. having my parents and sister present to witness the small ceremony. I believe it was only fear that held me back. From that day forward, my parents made every effort to welcome Casey into their family as their son in law, and we have never looked back. Today, we are blessed with loving parents, siblings, grandparents and extended family on both sides. We know there are many people out there still who do not and will not accept us but we are continuing to use every struggle to build a stronger foundation of marriage from which we believe will stem a larger social impact. 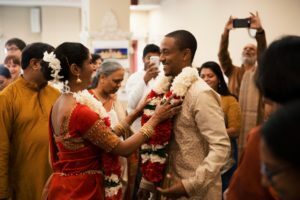 I have heard before, when growing up, that if you marry outside your culture/background you are definitively marrying into the other person’s culture/background. Learning this was key to my understanding of Madhavi and who she is as a person. Where learning this transitioned into wisdom occurred when I realized this would take a lifetime. Another thing I have learned about Indian culture is eating with our hands allows the person to fully delve into the experience of the cuisine. You are not only experiencing the food, through taste, smell and sight but also through touch. You are using all your senses to enjoy what has been prepared for you. I think it has been a little harder for me to learn about Casey’s culture because we live so far away from where he grew up and a large part of his African American culture is rooted in the South. I have to acknowledge that even after almost 4 years I still have so much to learn about Casey’s culture/background and the details of it. Of the many aspects of his background the one that stands out the most is what I’ve learned about food + cooking in his culture. From my understanding, Casey was raised to see food not just as a necessity, but as a form of showing love for those you cook for. Cooking and eating food was central to family, friends and community gatherings. I remember him telling me that he will always be able to picture his mother coming home from a long day at work and cooking for him, his brother and his father. To him, that act of cooking for the family at the end of your workday, no matter how tired you were, showed that nothing more could be fueling you than genuine love. 1.) It is wise to know why you are entering into an interracial relationship. If you see an “exotic” person or you are interested because of their ethnic background, then the relationship may prove harder than your reasoning. 2.) 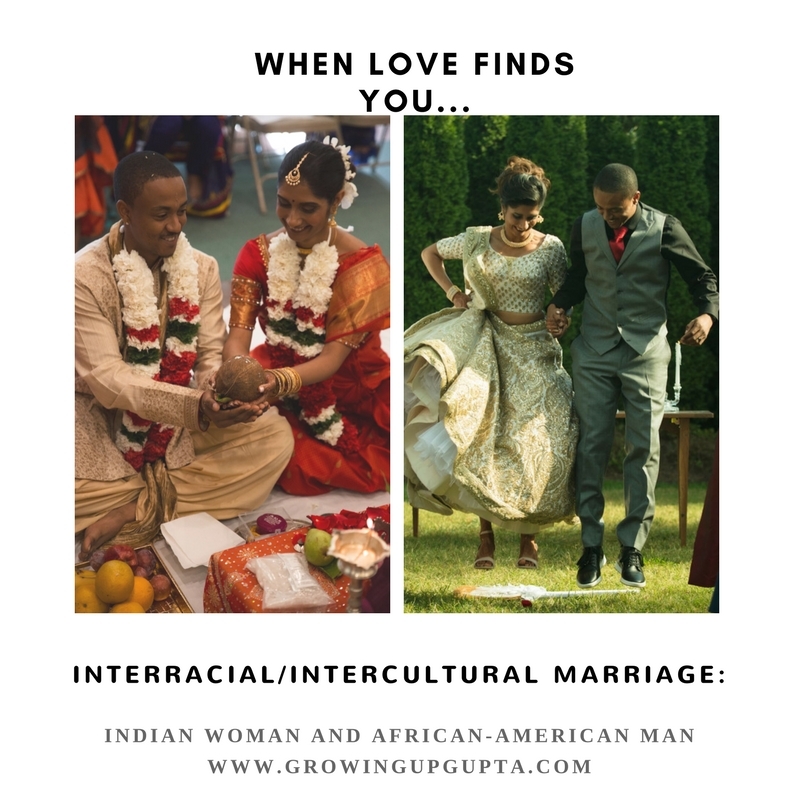 When you enter into a relationship with another person of a different culture and/or different ethnic background, you are leaving the comforts of your own culture. You cannot expect the person to adapt to your own culture, nor should the other person coerce you to adapt to his/her own. It is hard because we naturally expect people to know what we do within our own cultural habitat and upbringing. 3.) I say all of this to really bring to mind that both parties should want to educate themselves on the person they are dating simply because their culture may have defined them or still does. 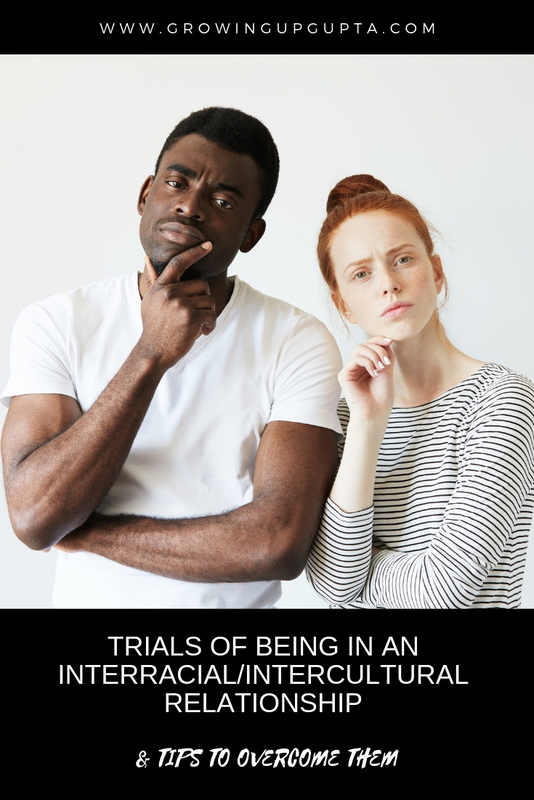 It is wise to check your reasoning for wanting to embark on an interracial relationship, and to have a humbled mind when it comes to the frustrations that you will face because of the difference in behavior, culture, and lifestyle. 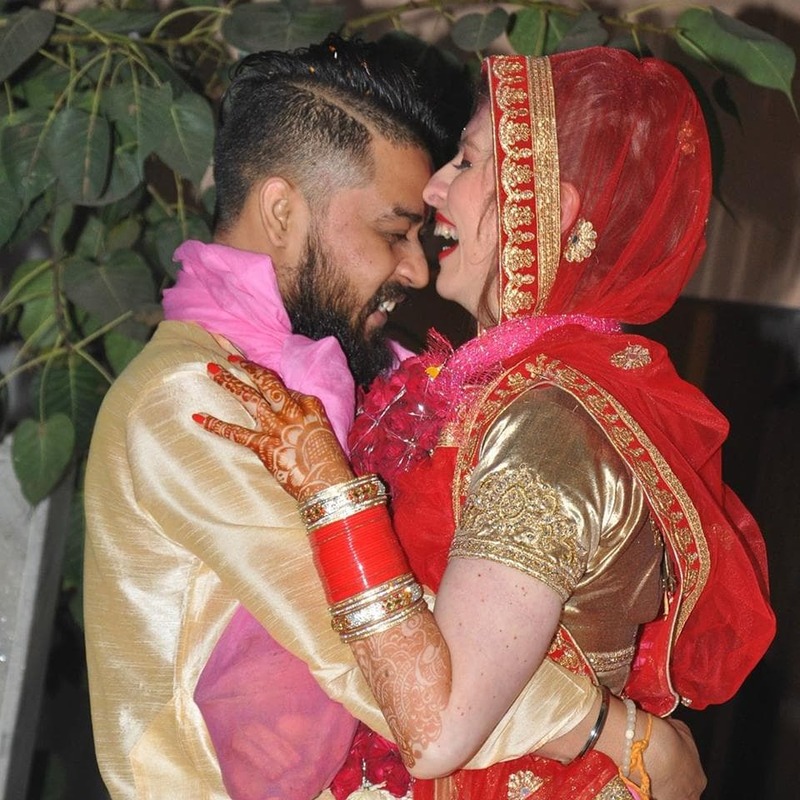 Thank you Madhavi and Casey for sharing your beautiful love story! What did you think about Madhavi and Casey’s love story? Did you find love in the most unexpected of places? Write us @growingupgupta@gmail.com. Please share this article and comment below! Like our content? Subscribe! I have long longed to find a site that is natural and true to itself. Your contents are truly inspiring and I must say has given me the will power to continue my quest in search for true happiness in diaspora. Wonderful to hear! Good luck Okezie!